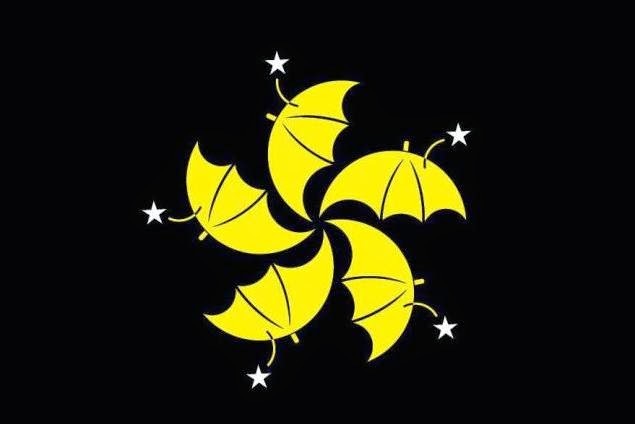 On 28 October, the one-month anniversary of the Umbrella Revolution, tens of thousands of citizens assembled at protest sites on both sides of the harbor. At precisely 5:58 pm, they opened their umbrellas in unison and turned the sea of people into a tsunami of colorful blossoms. The congregation then observed 87 seconds of silence, one for each shot of tear gas fired at protestors on that fateful day. It was “the day that changed everything,” the day by which we would forever divide our history: before and after 9/28. What started as a small-scale student protest quickly spiraled into an all-out revolution, thanks to the use of tear gas and riot gear on 28 September against unarmed protestors who had nothing but raincoats, lab goggles and folding umbrellas to fend for themselves. The heavy-handed police response backfired and drew thousands more to the streets. Suddenly, years of frustration over income inequality, skyrocketing property prices and a Beijing-appointed government that favored vested interests bubbled to the surface and boiled over. By nightfall, highways and city streets were turned into Tahrir Square, and regular citizens became Rosa Parks and Mahatma Gandhi. Hong Kong, the Fragrant Harbor and the Pearl of the Orient, was embroiled in the biggest political event since Britain handed it back to China in 1997. 28 September is as much a dividing line in history as it is in society. The Umbrella Revolution, and the daily inconveniences that have come with it, has polarized the city along political lines. The middle class blames protestors for rocking the economic boat and putting the ideology of a few above the livelihood of everyone. In turn, protestors accuse non-supporters of selling out the city’s future for a paycheck. 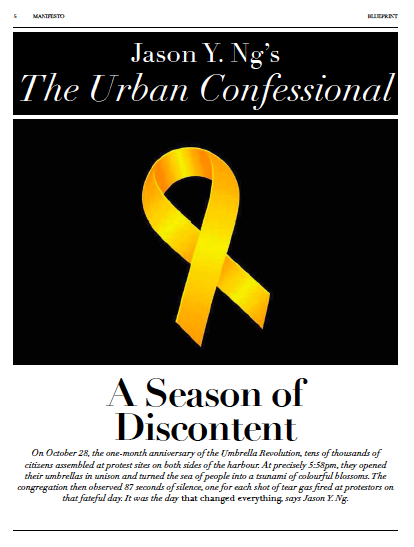 Weeks of bickering and name-calling have driven a wedge between parents and children, husbands and wives, teachers and students, and the Yellow Ribbons (student supporters) and the Blue Ribbons (police sympathizers). While citizens squabble over the movement’s merit, they can agree on at least one thing: the students’ tenacity and leadership have caught everyone by surprise. Just a month ago, these Millennials were spoiled brats who relied on their maids to make their beds and do their laundry. They couldn’t tell Martin Luther from Martin Luther King, David Cameron from James Cameron. Today, they are distributing medical supplies and building furniture at the protest sites. They are reading Karl Marx and picking up trash in one moment, and dodging pepper spray and pushing back angry thugs in the next. It was as if Peter Pan had grown up overnight to self-organize, self-sustain and self-govern. Their generosity of spirit has made them not only model protestors but also worthy heirs to our city’s future. It takes a heart of stone not to be won over by them. If the pint-sized warriors have come out on top on the public opinion battlefield, then the clear loser has to be C.Y. Leung, Hong Kong’s embattled chief executive. 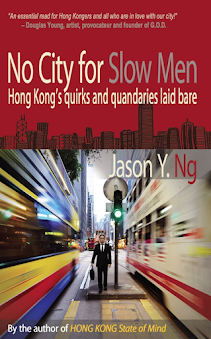 Leung’s unpopularity as a Beijing mouthpiece is matched only by the idiocy of his gaffes. On October 21, he told a New York Times reporter that universal suffrage was undesirable because it would allow social policies to skew toward the poor. The Freudian slip was followed by a snarky remark that athletes and religious groups contributed nothing to the economy. 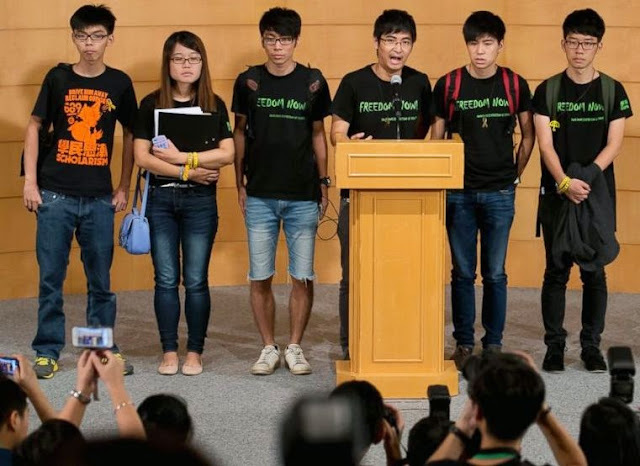 Reeling from foot-in-mouth disease and with his approval ratings approaching an impeachment level, Leung has, whether by choice or by Beijing’s order, placed himself under a self-imposed house arrest and delegated to his deputy Carrie Lam (林鄭月娥) many of his duties, including negotiating with student leaders for a way to break the impasse. 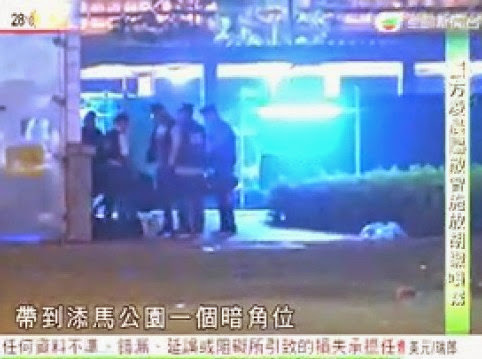 Another big loser in the political firestorm is the Hong Kong police force. Once revered in the region for their professionalism and restraint, they now see their hard-earned reputation slip through their batons. They have managed to alienate both the Yellow Ribbons by their inaction during the many thug attacks and the Blue Ribbons by their failure to reopen the streets. They squandered their last ounce of public trust when a pack of uniformed officers were caught on camera beating up a protestor in a back alley. As if that weren’t bad enough, a few days after the incriminating video went viral on social media, they were thrown under the bus by their own boss. In a television interview, C.Y. Leung denied any personal involvement in the decision to use tear gas on protestors and said it was the frontline officers who had made the call. Still, the biggest loser is probably Beijing itself. Its reaction to the movement has exposed the many cracks in the senior leadership. First, it has become clear that the Communist Party knows pitifully little about how Hong Kong people operate. 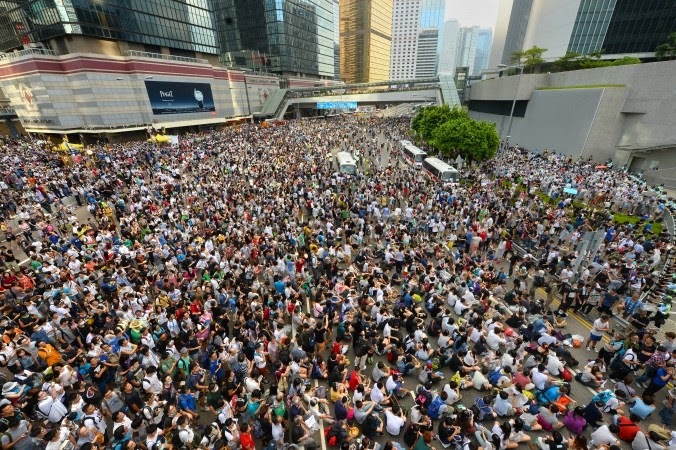 17 years after the Handover, Beijing continues to underestimate and misread Hong Kong citizens by assuming that they would be docile enough to swallow a broken promise for the sake of stability, or that protestors would be too squeamish to stay on the streets when a crackdown is threatened. 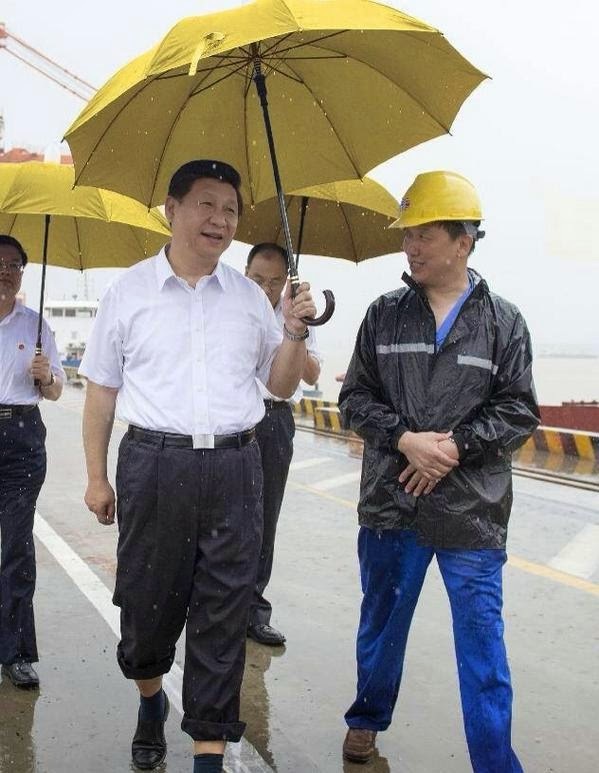 Second, we now know that China is shockingly ill-prepared for a modern, bottom-up political movement. As if they had learned nothing from Egypt and Turkey, the Communists are still trying to fight 21st Century warfare with last century weapons: batons, tear gas and hired thugs. 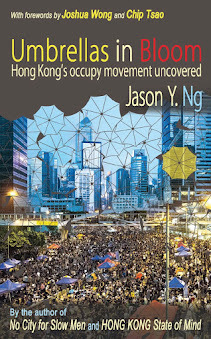 Finally and most remarkably, that the protests were allowed to go on for so long and that there have been many conflicting whispers from Beijing over C.Y. Leung’s political fate has revealed the leadership’s indecision and inconsistencies. Many point to the escalating factional infighting within the politburo since Xi Jinping (習近平) took the throne two years ago. With winter fast approaching and both protestors and authorities running out of patience and energy, the million-dollar question lingers: what’s next for the Umbrella Revolution? Will student leaders sit down for more talks with government officials in the coming weeks? Will negotiation achieve anything given Beijing’s tough stance? How is this all going to end if neither side is willing to yield an inch? Therein lies the strength of a post-modern political movement: none of that matters. Success is no longer defined by results, but by social awakening and transformation of the collective consciousness. A new way of life has already coagulated in Hong Kong, and a whole generation of young citizens have woken from their existential slumber. 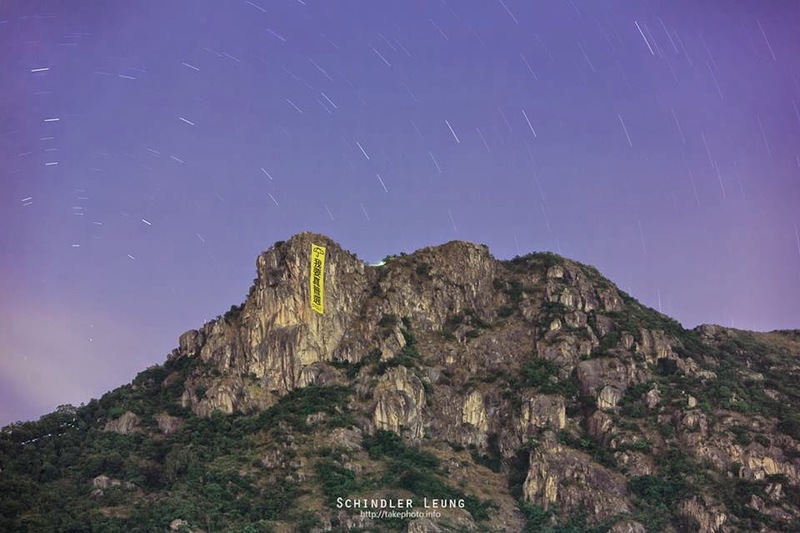 Above all, a new Lion Rock Spirit has taken hold, one that is based on social justice and civic participation instead of hunkering down for trickle-down economic benefits. Draped in bright yellow, Hong Kong has finally come of age and is ready to be taken seriously.